Oregano Plant Uses for cuisine and health are there from ancient days. This wonderful herb is also known as Wild Marjoram . The botanical name is Origanum Vulgare. They will easily grow in pots and also in large containers. It even grows without any fertilizer. How Oregano Plant is used for culinary purpose? The leaves are used for flavouring purposes, particularly widely used in Turkish, Palestinian, Syrian, Greek, Portuguese, Spanish, Latin American, and Italian cuisine. It gives a pleasant spicy flavour. Also used in pizzas, and hence it is also called as "pizza herb". What are the uses of Oregano for health? This amazingly useful plant contains properties to cure viral, fungal,bacterial infections and anti-allergic problems. This is considered as a of nature to mankind. Helps to cure all types of respiratory problems such as cold, flu, fever, sinusitis, bronchitis, asthma, sore throat etc. Helps in relieving stomach problems such as stomach upset or indigestion. Oregano helps to cure insomnia. Oregano is a quick remedy for painful menstruation. Make oregano concoction and drink 3-4 times a day. It is also useful for fungal infection like Candida. Oregano plant uses include treating bacterial skin infections, psoriasis, and a condition called Eczema. For insect bites, oregano is used as a poultice. Oregano oil is effectively used in relieving the pain in rheumatism, carpal tunnel, sports injuries and arthritis. For toothache, insect bites, and food poisoning, this amazing herb is useful. The leaves and flowering stems of oregano are strongly antiseptic, antispasmodic, carminative, cholagogue, diaphoretic, emmenagogue, expectorant, stimulant, stomachic and mildly tonic. Studies show that Oregano contains extremely effective properties against Methicillin-resistant Staphylococcus aureus (MRSA). It is available in the form of fresh plant, dried leaves and oil. Many times native remedies are more effective and safer. Where to buy Oregano online? 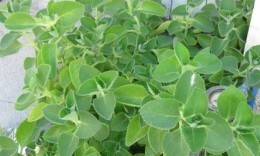 Want to learn more about Oregano plant and its uses? Check out this page.